To do stuff with the script, you need to authorize it. Once you’ve authorized the 3dsMax exporter you can upload models to your account. When you open the exporter it checks if it’s authorized. If not, the authorization rollout is shown. If authorization is successful, you start uploading directly! 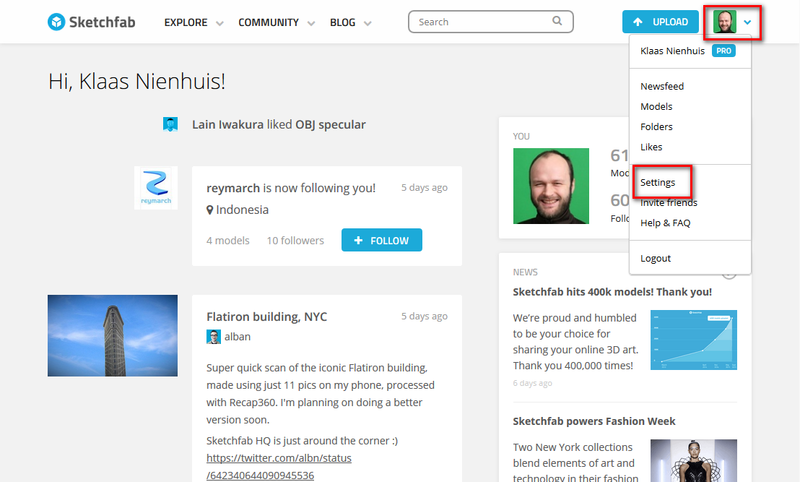 Logging into Sketchfab.com is not the same as authorizing the 3dsMax exporter although the same credentials are used. 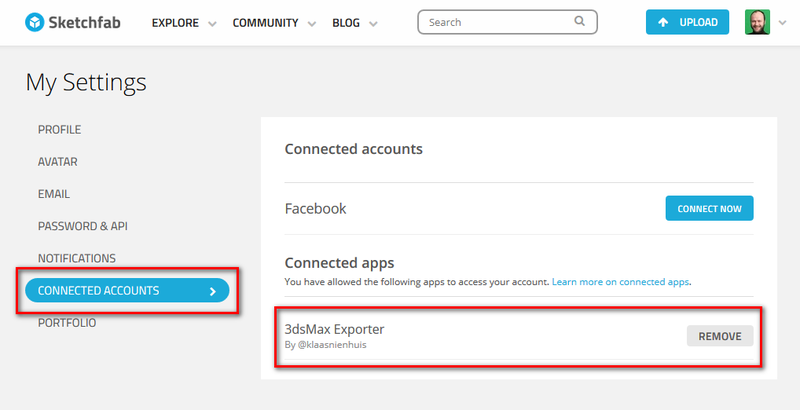 To authorize the 3dsMax exporter you need to enter your username and password, but you can log in and out of Sketchfab.com and still be able to upload models with the 3dsMax exporter. This can be a bit confusing. You can be logged into Sketchfab without authorizing the exporter. The opposite can also be true. 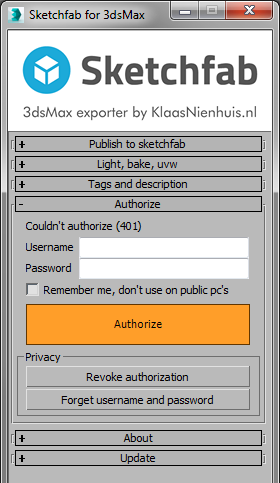 You can revoke or remove your authorization if you don’t want to allow the 3dsMax exporter to publish models to your account. You can do this in two ways. The exporter forgets your credentials after restarting the script. 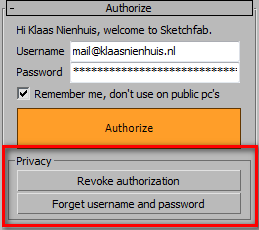 This means you have to enter your username and password each time you start the script and want to upload something. If you get annoyed by this, you can check the Remember me option. It will keep your username and password on disk. This is not Fort Knox. Your credentials are stored in a plain text file. 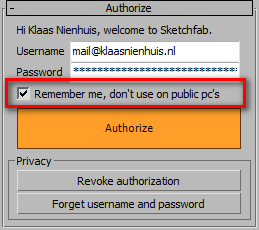 Don’t activate this option when using public or shared pc’s like in schools and universities.